Amid the United Kingdom's Brexit crisis and a surge in populism throughout Europe, the 28-nation European Union (EU) is facing renewed questions about its future. 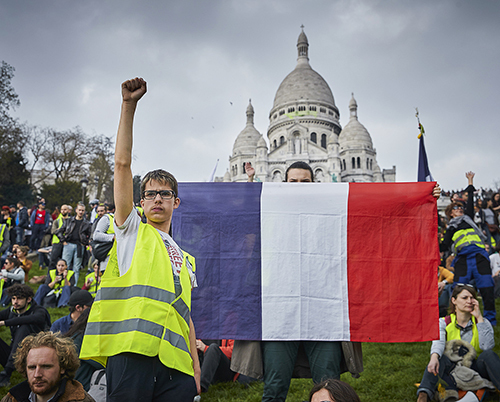 Nationalist-populist governments rule in Italy, Hungary, Poland and Greece, and populist parties are posing stiff challenges in France and Germany, the EU's most powerful members. A slowing economy and worsening relations with the Trump administration, which calls the EU a foe on trade, present additional challenges to the Union. But many political analysts believe the EU remains strong, noting that the U.K.'s expected departure from the federation has chastened foes of European integration and led them to drop their drives for Brexit-style secessions in other countries. The EU also has drastically cut illegal migration from Africa and the Mideast — a major source of populists' anger. Nevertheless, many experts say next month's elections for the EU's Parliament will be crucial. They predict a strong showing for populists, who would be in a position to keep the EU from becoming more powerful.